Chloë’s Dress is a little girl’s dress that is knitted from the hem to the underarms, circularly. 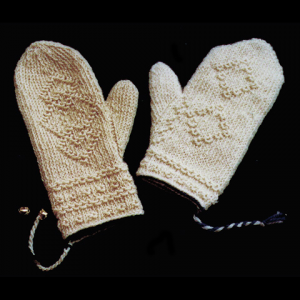 The bodice is knitted back and forth; the sleeves are picked up and knitted circularly. 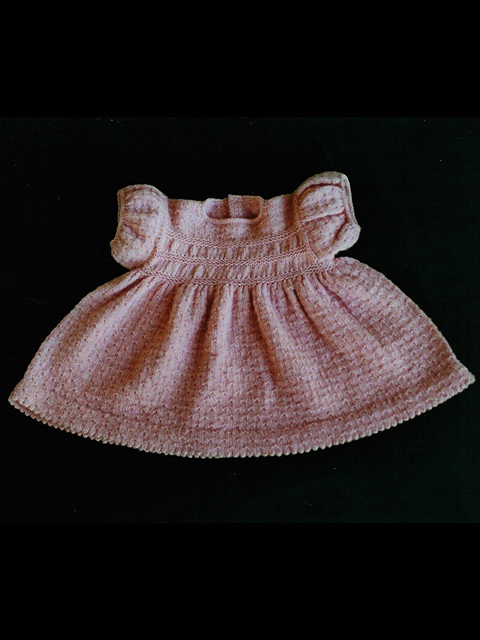 Different knitting stitch patterns are used in the bodice to give the effect of a smocked dress. 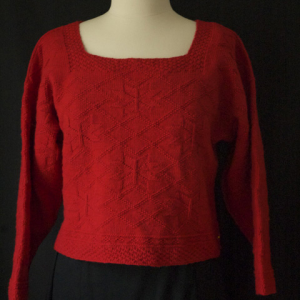 It is finished in a knitted I-cord bind-off and also has a dainty knitted picot hem. The simple seed pattern, the full skirt and puffed sleeves were chosen to give a feminine and dainty, yet sturdy, look. 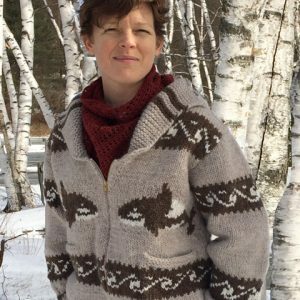 This design is for intermediate knitters. Most of the proceeds of the sale of this pattern are donated every year to the American Sudden Infant Death Syndrome Institute in memory of my daughter Sarin Chloë Reinsel. 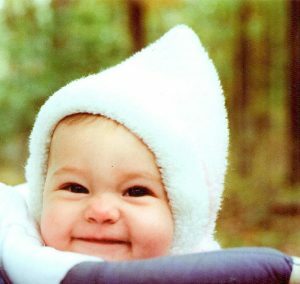 A reader suggested this page for Baby Sleep Safety. My only caveat to this article and the imbedded video is that I strongly disagree with the warning to NOT sleep with your kids. Being an advocate of the “family bed”, I believe this practice brings families closer together, and is a sweet and loving memory for me. Gauge: In St st, 13 sts and 16 rows /rounds= 2″; in garter st: 10 sts =2″, 5 rows = 1/2″.